Thailand is a famous tourist destination in Asia. It boasts of a rich culture, beautiful beaches and tourist spots. Unfortunately, you may find it hard to get around as the locals there are non-English speakers. The best way then to prepare for your next visit is to learn the language. If you’re planning to visit Thailand soon or later in the future whether it’s for a vacation or for employment, you can learn Thai in Bangkok. There are many language schools in the capital city where you can learn the right way of speaking and writing as well as develop your reading skills. Learning the Thai language need not stress you because the programs being offered today allow students to enjoy their lessons in a fun and flexible manner. For those without any background, enrolling in a beginner class is strongly recommended. It is also important to be involved in a real class or have a face to face tutorial with a native speaker to learn the Thai language properly considering that it is a tonal language. It is only when you are able to learn the alphabets, pronunciation and word meanings that you can develop your reading and speaking skills faster as you learn Thai in Bangkok. Most teachers of Thai language have vast experience in this field so you can be sure to be properly educated. They may differ, however, in their manner of teaching as some now utilize role play, imitation, films, sound files and computer games. 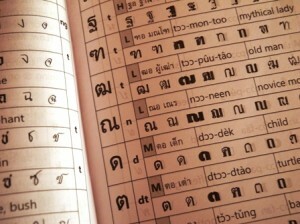 To support your goal of knowing how to speak Thai, you will also need to get other resources. It would help if you buy a dictionary or get a software that can translate Thai to English as well as provide meanings and examples of Thai grammar. Sawatdee – a greeting similar to hello, good day, good morning, good afternoon and goodbye. Khap and Ka – used at the end of a sentence as a sign of respect. Kha also refers to males and Ka to females. Aroy – means delicious and saying this to the restaurant owner, waitress or cook will surely elicit a smile. Narak – means cute and is often used to refer to a baby or a kid. 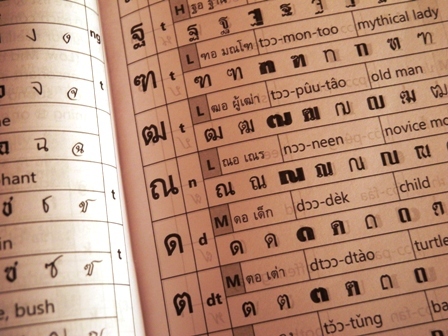 If you’re interested to learn Thai in Bangkok, be sure to do a little research first. Look for schools that have a proven track record and can assist you in the other aspects of your stay in Thailand such as in obtaining an education visa. There are institutions that help students enrolled in their one-year language program obtain a visa for a hassle-free stay in the country.